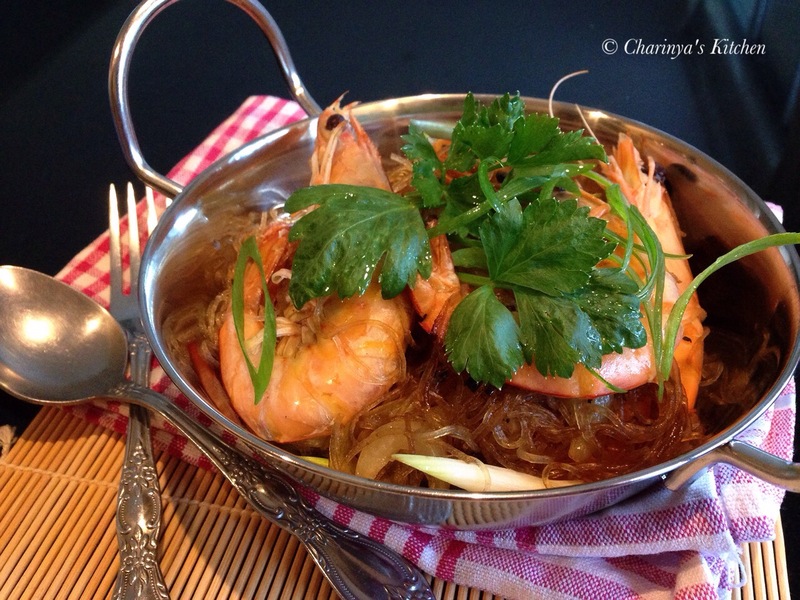 “Goong op woonsen” is pot roasted prawns with glass noodles. I first tried this dish at Chonburi (in Thailand) where my siblings now live. The dish uses prawns, with coastal Chonburi renowned for its fresh seafood. Goong op woonsen is very popular, with many local markets featuring numerous stalls doing a roaring trade as twilight settles over the city. If you go there you must be prepared to wait in often lengthy queues! • ~1/2 tbsp each of soy sauce, seasoning sauce and Chinese cooking wine. • chopped spring onion and Chinese celery to garnish. 1. Use a medium nonstick pot set on medium heat. 2. Add oil in the pot then add ginger, coriander root, Sichuan peppercorns and onion. Stir fry for a few mins, then turn off the heat. 3. Add glass noodles, prawns and all the sauce and seasoning in the pot. Gently mix. 4. Put the pot on low heat and cover for 10 mins. Then open the pot to invert the food so it is cooked right though. Close the lid and keep cooking for 5 mins. 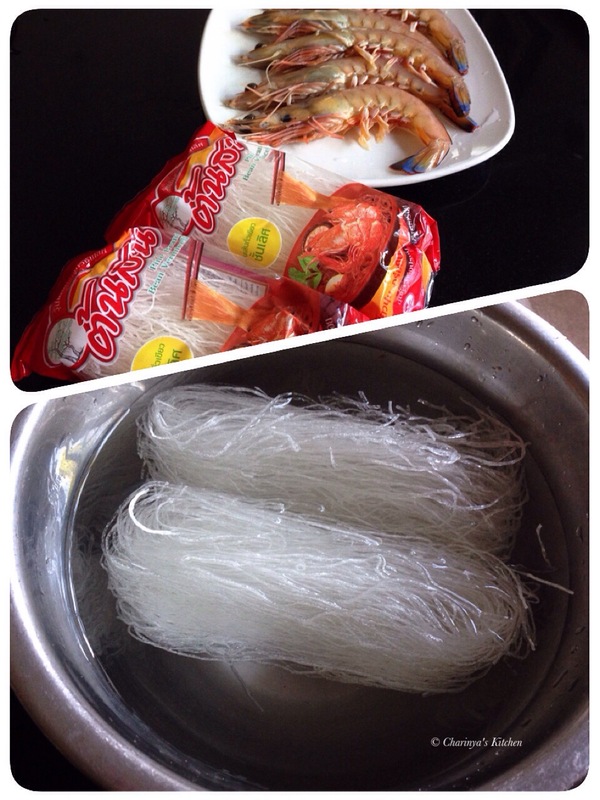 Check if the prawns are cooked and that the noodles are translucent. 5. When cooked turn the heat off and add spring onion and Chinese celery.